I’m not sure the present satay stall at the Glutton Street is the same one existed since 80s because its old owner passed away several years ago. 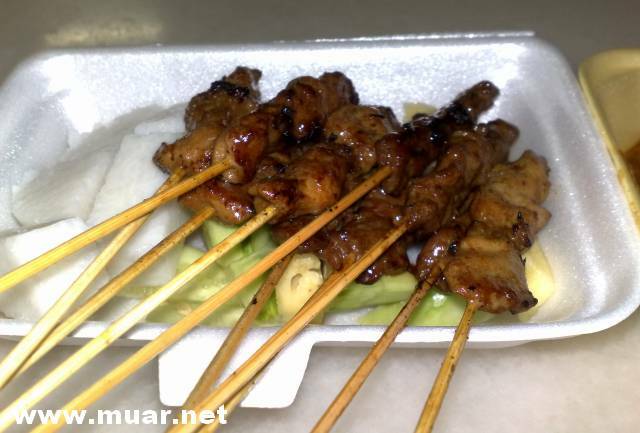 Pork satay in the old stall is used to be my favorite for its rare supply in other places. 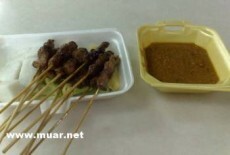 The pork satay in this Ah Nine stall is still quite good and delicious. The nicely marinated pork satay is grilled just right for a smooth and tender texture. It serves with thick sauce and peanut gravy. Avoid the tupat packed and cooked in the plastic sheet for health reason, but eat it once awhile should be fine.